Sitting along the banks of the mighty Mississippi River, Meeman-Shelby Forest State Park is well-loved by Tennesseans, especially those in nearby Memphis. Not only is it high on the Chickasaw Bluffs overlooking the largest river in North America, but the park also has a long history. Edward J. Meeman was the editor for the Memphis newspaper and was so influential that in 1933, Meeman and the State Forester convinced the National Park Service to purchase the bulk of Shelby Forest Park. The primary objective of establishing the park was forest reclamation, as Meeman was the strongest advocate for environmentalism in Memphis. Thanks to those reforestation efforts, several of the state’s largest trees now stand in the park. The Civilian Conservation Corps and the Works Progress Administration constructed cabins and other structures that are still standing today. 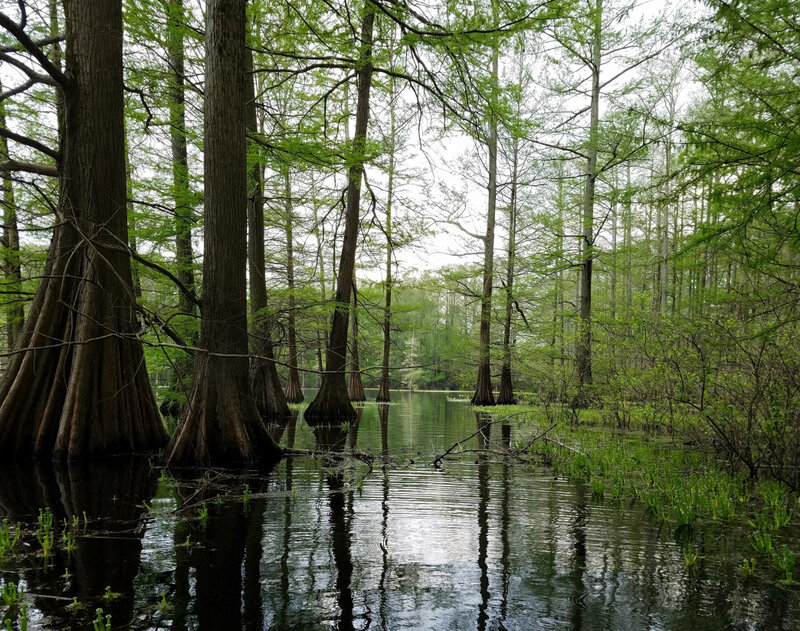 Between the two large Wildlife Management Areas (WMA) here, the entire area sits on about 17,000 acres. Eagle Lake Refuge and Shelby Forest WMA buffer the park proper, which by itself is one of the largest state parks in Tennessee. With a variety of activities like bird watching, hiking, cycling, fishing, boating, mountain biking, camping, paddling, and horseback riding, it’s impossible to experience all that Meeman-Shelby has to offer in a single day. A weekend is a good start, but a week at the park is even better. 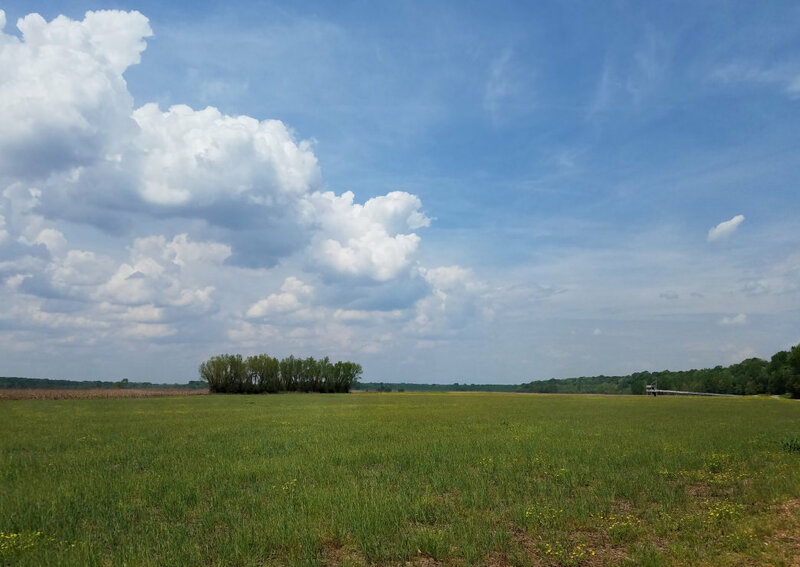 Here, we’ll start at its southernmost reaches and head northward to the Tipton County line, describing what the park has to offer. The adventure starts about eight miles northwest of Memphis. There is little signage leading to this 3,000-plus acre refuge, so trust your GPS or print directions before you leave, and go through the gate that appears in a large field of wheat. Head down to the floodplain and you’ll find a large wooden lookout. More than 100 species of birds can be spotted from here in the winter. With rare Mississippi kites and bald eagles seemingly commonplace, this is a birdwatcher’s dream. In the off-season for birds, you can take the Mississippi River Bike Trail (MRT) north from Memphis to Eagle Lake Refuge for a very peaceful and isolated mountain bike trek on miles of gravel road. Take Benjestown Road north to Ramsey Road. Continue north for 3.5 miles, then turn left onto Island Forty Road. The gravel road extends about 2.4 miles underneath towering hardwood trees and massive vines. Amongst these giants there have been 200 species of birds reported. When the gate is locked (Tennessee Wildlife Resources Agency controls access), this road makes for a nice hiking and mountain biking trail. The road dead ends at Eagle Lake, but that is not the end of this expedition. Paddling Eagle Lake can be a pleasant experience, but you’ll have to do a little research and planning before you go. First, since this lake lies within the WMA, hunters have the right-of-way so to speak. Waterfowl hunts are prized in this area and are only given via a lottery system. Plan your trip around the hunting seasons by checking TWRA’s website, and do not paddle during waterfowl season. Second, Eagle Lake is more of an expansive swamp and less of a defined lake. Combined with zero trail signage, you can quickly become lost in an area with no cell coverage. If you don’t feel comfortable going out on your own, park rangers from Meeman-Shelby Forest offer guided paddling trips for a small fee. Contact the park to find out when upcoming trips are scheduled, and you can bring your own boat or rent one from them. Further north, 7099 Benjestown Road marks the entrance to Meeman-Shelby Forest State Park. To the right is the "ballfield," where the annual Spring Festival is held each April. To the left is Grassy Lake Road and one of the more popular sections of the park. Pass the disc golf course (more on that later) and around the bend to Poplar Tree Lake. This is a great area for families thanks to the picnic tables, pavilions, and Nature Center. Additionally, there are lakeside cabins for nightly stay (soon all the cabins will be remodeled and upgraded). You may bring your own boat (for a $2 launch fee) or rent one from the park to access the scenic lake. Fishing requires a permit and expect to find bass, bluegill, and catfish here. The four-mile Pioneer Springs Hiking Trail begins here and traverses north along the base of the Chickasaw Bluffs, where it joins additional trails at the Woodland Trail Shelter. Pioneer Springs Trail is less hilly than some of the other trails, which makes it more family friendly. Look for the actual Pioneer Springs, which still flows after all these years, about 1.5 miles into the trek. The Horse Trail does not appear on the standard map handouts nor is it posted in the displayed map kiosks, but the 8.5 miles of trail for both horseback riding and hikers is one of the best-kept secrets in the park. A five-mile loop containing sufficient hills and steady grade is great training for trail running. (In the winter, check out the Poplar Tree Lake Overlook.) In nice weather, this is a great trail to escape the crowds. Disc golf is popular in the South, and locals will tell you that the two 18-hole courses at Meeman-Shelby Forest are both challenging and fun. Both the East and the West courses wind through the woodlands, going up and down hills. For more information on the courses from die-hard disc golfers, visit DGCourseReview. There’s a five-mile biking trail at the park, and while it’s mostly paved, don’t be fooled into thinking it’s an easy ride. Best for mountain bikes or cross bikes, there are some rough sections and tight switchbacks. The trail is ideal for beginners who may have a little experience under their belts, or intermediate mountain bikers looking for a quick ride. You have two options to get to the main entrance. Option one is to drive back out to Benjestown Road, take a left on Bluff Road, and then turn left into the park entrance. Follow the signs to Piersol Lake. Your second option is to walk, run, or bike up Piersol Road all the way to the Piersol Lake Group Camp (about five miles). Fair warning: Do not let anyone tell you that the Memphis area does not have hills. Sandwiched between the dorm-style Piersol Group Camp on the banks of the 25-acre Piersol Lake and the Dogwood Ridge Campground, the 3.5-mile Woodland Trail teases hikers with flats along Riddick Creek only to take you up and down the steep hills shortly after. 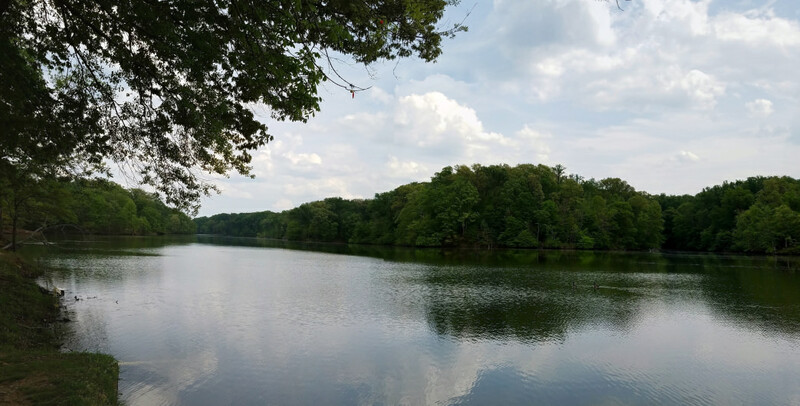 For more mileage, connect to the eight-mile Chickasaw Bluff Trail going to the northern extent of the park, or the shorter, 3.5-mile Pioneer Springs Trail back down to Poplar Tree Lake. 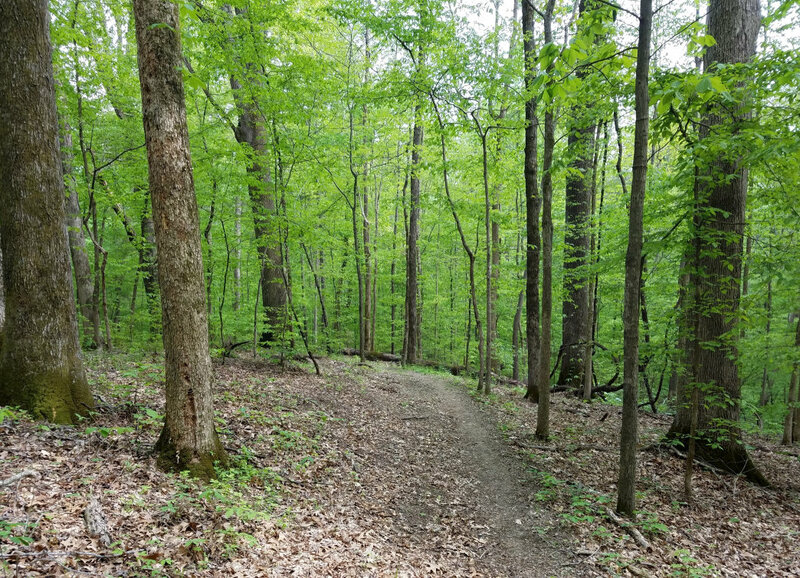 The Woodland Trail is a great option whether you are on a trail run, with family, or on a hike with a friend because of the mileage options and diverse terrain. The main park office is nearby, where you can check-in for camping, get hunting permits, maps, pay fees, refill water, etc. Reservations are recommended for the campground, especially when the weather is nice. There are 49 campsites with a table, grill, and electrical and water hookups. There is a bathhouse with hot showers, too. Rates are $24/night, and you can make reservations here. Finally, the northern part of the park offers a glimpse back in time. The Mississippi River Group Camp is a deteriorating remnant from the Civilian Conservation Corps and the Works Progress Administration. Erosion has gotten the best of some of the cabins, but park staff is hopeful that funding will soon trickle down from Nashville to restore this historic site. This is where you can get on the Chickasaw Bluff Hiking Trail mentioned above, which runs the length of park all the way to Poplar Tree Lake. Chickasaw Bluff Trail follows along the base of the bluff, but a watch out for stinging nettle, a plant that irritates bare legs. Arguably, the best feature of the entire park lies at the end of River Road—access to the famous Mississippi. The Mississippi River Boat Ramp conjures images of Huck Finn, river paddle boats, barges, and great adventure. It’s about an 18-mile paddle from Shelby-Meeman back to Memphis, which is very doable over a couple of days, or even in one day. What starts off as a peaceful paddle through hardwood forests ends with views of the Memphis skyline and a unique view of the city as you make your way to downtown. 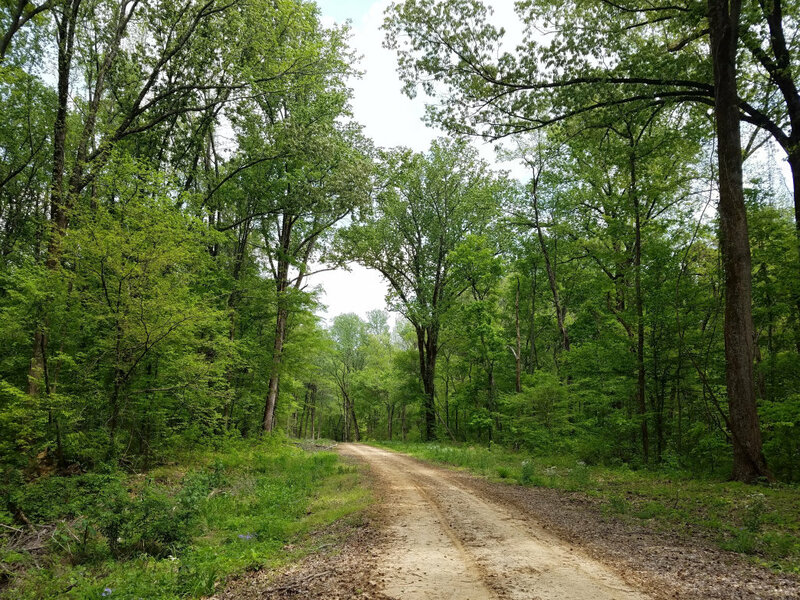 Hiking and camping at Meeman-Shelby Forest State Park are best in the late fall through mid-spring, when there are fewer troublesome insects, plants, and allergens. Paddling is an all-season affair except where limitations exist on Eagle Lake. The park is open daily from 7 am to 10 pm CT. The Eagle Lake Refuge is open from 9 am to 4 pm CT on non-hunt days, and is closed from November 15 to February 28.